Stitch up this fitted vest to create a professional, polished look for the office or to dress up your jeans, your skirt outfits and your slacks outfits. This is a new, uncut pattern for making a size 10 (or 38 European) women's fitted vest. The pattern and envelope show yellowing from age, but I could not find a copyright date anywhere on the envelope. Misses semi fitted lined and unlined vests in two lengths: V. 1, 2, and 3 vests are lined. V. 4 and 5 are unlined. V. 1, 2, 4, and 5 have buckled back belts. V. 3 has side belts with D-ring detail. Price is $3.00 plus $1.50 shipping for buyers within the US. Buyers in other countries need to confirm shipping costs before paying as patterns will not be shipped until full shipping costs are covered. Also - please note the pattern number and description of the item you are buying in the form when checking out, as the PayPal checkout does not appear to be updating that information and I'm not sure why. Create a luxurious and relaxing office to get your work done in when you stitch up these cute office accessories. Your home office will be dressed for success with coordinated desk accessories from Laura Ashley. Package includes patterns and instructions for a blotter, pencil cup, envelope caddy, memo board, storage boxes, file cover and seat back cover and cushion. Price is $3.00 plus $1.50 shipping for customers within the US. Buyers from other countries: contact me for shipping costs before buying to avoid shipping delays. Wear this ruffled, ultra feminine blouse and slim cut skirt any time you want to look super stunning and pretty. This women's classic styled Skirt and blouse pattern has a 1994 copyright date. Misses' blouse and skirt: Very loose fitting blouse has front neckline slit with button and thread loop closure, long sleeves gathered into armhole and shoulder pads, blouse has circular collar and bias tape casing with elastic forming ruffle at lower edge of sleeves; straight skirt with back hemline vent has side seam pockets, back zipper and gathered into waistband. Price is $3.00 plus $1.50 shipping. Buyers in other countries should check with me to determine shipping costs before buying. Start watching the total pageview counter (it's below the second post) - because when it hits 100,000 Stitching it Right will be starting its first ever giveaway. (More details to come - I'm getting it all set up and worked out now so it'll be ready to roll when the site reaches that exciting mile marker. The winner will get their choice of a $10 JoAnn Fabrics gift card or four patterns offered here on the site. I know, that's not the biggest giveaway you'll ever run across, but I have some bigger giveaways planned as the site grows - so check back often or sign up for either email updates - or follow the RSS feed so you don't miss out on your chance to win. Stitch up this cute girl's dress for a costume using vintage fabrics - or update the look for an age-appropriate and modest girl's dress-up outfit. Girl's skirt in two lengths, blouse, and lined vest: Skirt gathered to buttoned waistband has side zipper. Short skirt has patch pockets and optional lace edging. Long skirt has ribbon trims. Blouse with buttoned band has collar and neck band, long or short sleeves gathered to armholes and to buttoned cuffs and optional picot edging. Long sleeves have cuff ruffles. Top stitched lined vest has ribbon ties. This new uncut pattern does show signs of yellowing from age. I was not able to find a copyright date on the envelope, but would guess it to be a style from the 1970's. It could be used for costuming or updated with modern fabric and trim for a really cute outfit. Price is $3.00 plus $1.50 shipping. Buyers from other countries should check with me to determine the shipping price before buying. Wear this short, classic style dress short or long for a lovely, stylish and feminine touch. This New Look brand pattern is for making an ultra-feminine and flowing long or short sleeve shirt-dress. The pattern covers sizes 8 through 20 for a custom fit. This is a new uncut pattern, but the envelope has a few creases from storage. Wear the perfect ladylike style for a wedding, special event, or an important meeting at the office with this pretty dress. This new uncut New Look pattern makes a Misses size 8 through 18 dress. The envelope does have a few creases from storage. Your options with this pattern are short or long sleeves, and a straight or flared skirt that joins the dress bodice at your natural hip line. The design is perfect for slimming color blocking or you can stick with one fabric as shown on the envelope cover. Price is $3.00 plus $1.50 shipping. Buyers in other countries should contact me before buying to determine shipping costs. Bring back sassy and sultry in these cute short-shorts with ultra-feminine-cut leg openings. This vintage McCall's pattern has a 1981 copyright date, and makes short shorts and a cute top. Misses shirt and shorts: Buttoned shirt has notched collar and short raglan sleeves. Wrapped shorts, open at sides, have shaped hemline. Waistline bindings tie in front and back. Edging trim is optional for shirt and shorts. Price is $3.00 plus $1.50 shipping. Buyers in other countries need to contact me to determine shipping costs before buying. Stitch up this modest dress to show your proper, feminine side. This new and uncut vintage Simplicity Fast & Fabulous dress pattern makes an ultra feminine women's dress in sizes 10, 12, and 14. Misses Fast and Fabulous (TM) Dress and belt: Dress with pleated edging has front gathered to back at forward shoulder seams, front button closing, contrasting collar and cuffs, short set-in sleeves gathered to armholes, skirt stitched to bodice at elasticized waistline, side seam pockets, belt, and button trim. Price is $3.00 plus $1.50 shipping cost. Buyers in other countries should contact me for the correct shipping price before buying. Wear this gorgeous, quintessential 80's style boyfriend jacket as part of a dress outfit or make one up to wear as a chunky coat for chilly weather. This uncut pattern is for making a women's size 8 through 10 jacket. The copyright date appears to be either 1980 or 1990. The envelope has some creasing from storage and yellowing from age. Misses unlined jacket: Misses loose fitting unlined jacket in three lengths with front meeting at center, forward shoulder seams, dropped shoulders and patch pockets. All views have optional sleeve lining. Price is $3.00 plus $1.50 shipping cost. Buyers from other countries should check the shipping price before buying to avoid frustration later. Be comfortable and professional looking in this crisply styled unlined jacket. This is a new uncut vintage pattern copyrighted in 1980. The envelope is yellowing from age, and the top flap has fallen off. The jacket is a classic style blazer. Misses unlined jacket: Top stitched jacket has narrow rounded notched collar, long sleeves, button closing and patch pockets. Price is $3.00 plus $1.50 shipping. Buyers in other countries should contact me for shipping prices before buying to avoid frustration later. Look professional and cute in any of these easy to make styles of vintage jacket. This is a new uncut vintage pattern for making a misses size 8 jacket. The envelope is yellowing, has some small creases from storage, and the top flap has fallen off. Misses jacket: Loose fitting unlined jackets have shawl collar or notch collar and lapel and full length straight sleeves with or without button trim. A has front button closing, elasticized sides and back. B is front wrap above hip length, has shaped hemline. C waist length has front button closing, mock trim and welt. D has front button closing, patch pockets and self belt loops. Purchased tops, belts, and tie. Price is $3.00 plus $1.50 shipping within the US. Buyers from other countries should contact me to get shipping costs before buying to avoid frustration later. Make a pretty outfit from this classic style top and skirt pattern - the top can also be used for a scrubs top pattern. This uncut pattern is for making a short sleeved women's top and skirt. The style is very similar to a scrub top and candy striper skirt. The envelop shows some yellowing from age and small creases from storage. Misses top and skirt: Loose fitting pullover top has slightly dropped shoulders, pocket, stitched hems, and above elbow sleeves. A-line skirt below mid calf has partially elastic waistband and pockets. Price is $3.00 plus $1.50 shipping within the US. Buyers from other countries should contact me for shipping costs to avoid frustration. Make this cute, flowing dress in a print for a bohemian look or in a solid color fabric for an elegant look. Create It! Dress, mid-knee length; package features interchangeable components to create your own design, choices include two bodices, plain or draped midriff, four sleeve variations, gathered or plain skirt with or without gathered ruffle at lower edge and a tie belt. This pattern is new - but the corners of the envelope have little creases from being stored packed tightly in a container. Price is $3.00 plus $1.50 shipping ins the US. Buyers in other countries should contact me for shipping costs before buying to avoid frustration later. Make these cute, classic style tops to wear just as they are with your favorite leggings or jeans, or update the look with the simple switch-out of modern fabrics such as colorful fleece fabric. This is a new uncut pattern, but it shows some yellowing from age as it is a vintage pattern, and there are some creases in the envelope from storage. Misses easy to sew loose fitting knit tops in three lengths: All views have extended shoulders, long sleeves and ribbed knit cuffs and lower band. V. 1. has single layer cowl collar. V. 5 has left shoulder button losing. Sizes 6, 8, and 10 or 34, 36, and 38 European. Price is $3.00 plus $1.50 shipping for sales within the US. Buyers in other countries should contact me before buying to confirm shipping costs to avoid frustration later. Save money and make your own unique and super cute backpack. This vintage pattern is uncut but the envelope shows some age: yellowing from age and has some creases and a small tear along the flap's fold line. Suitable for use with poplin, denim, chino, duck, canvas, and waterproof nylon duck. I could not find a copyright date on the envelope but am guessing 1970's from the model's clothing style on the envelope. Price $3.00 + $1.50 shipping in the US. Buyers in other countries should contact me before clicking buy to confirm shipping amount. Bring back the best of 80's elegance in this simple and chic classically styled top and skirt combo. This is an uncut classic style pattern with a 1986 copyright date. The envelope is yellowing and has a small tear in the side crease. Sleeveless pullover top has extended shoulders and boat neckline. Flared bias skirt has left side zipper and waistband. A craft party gives children the chance to get together and have fun while making a Valentine's treasure they can keep or give as a gift. Have you ever been at a children's party where the children really did not have anything to do? They run, screech, and rough house. That may be okay when the weather is nice so they can go outside but what about winter holiday parties? Bored children are going to look for something to do and it might not be something that is okay with the adults. Planning indoor activities makes everything go more smoothly. A children's Valentine's craft party gives children the opportunity to get together with friends for a party but it keeps them busy. Begin planning the party by considering the age of the children who will be invited. Younger children will do best with simpler crafts that involve construction paper, glitter, and gluing. Painting is great for young ones too, but make sure you warn the other parents ahead of time so they can send the children dressed in clothing that won't be hurt by paint. Projects involving clays make nice keepsakes for the children - or gifts for them to give - but drying time makes them difficult for a young children's party. Older children will enjoy craft parties that involve more developed crafting skills. Making fleece scarves or even knotted fleece blankets is a fun idea for older children - depending on how much you want to spend on the party. 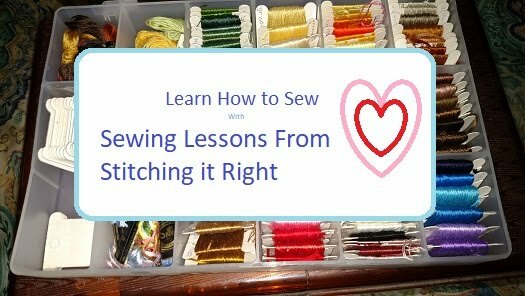 Projects that involve letting children actually use your sewing machine will be best avoided for a party because your machine could get broken or someone could get hurt. It would also leave the children waiting for turns and getting bored - which is exactly what you want to avoid. Clay projects, fleece projects, macramé, beading, and painting are all fun Valentine's craft party ideas for older children. After choosing the craft you plan to have the children make at the party consider how many children you will be able to help at once. Most of them will probably not have any experience with what they are doing and will have lots of questions. Do you have any other adults who will be able to help? If your child has their heart set on a big group of friends coming to their party, it will work best to ask a friend or one of the other parents for help. Four to six children per adult will be the easiest number of children to work with at once. If you get too many they will spend more time waiting for help than making crafts. The last major part of planning your Valentine's children's party is deciding what to feed your guests. Keep it simple and avoid messy food. The children will be busy making crafts so an elaborate meal will not be suitable. Simple sandwiches, chips or vegetable tray, cookies, or just cake and punch for example, would be great. If possible also check with the other children's parents to see if there are any children with food allergies coming to the party so you can make sure you have something they can eat without feeling left out of the group.